The recent surge in demand for crossover sport-utilities notwithstanding, the minivan might still be the ideal “family car” for its ability to hold families and the stuff that they tend to bring with them. Fiat Chrysler Automobiles seems to think so, having committed itself to a new-generation minivan for 2017. 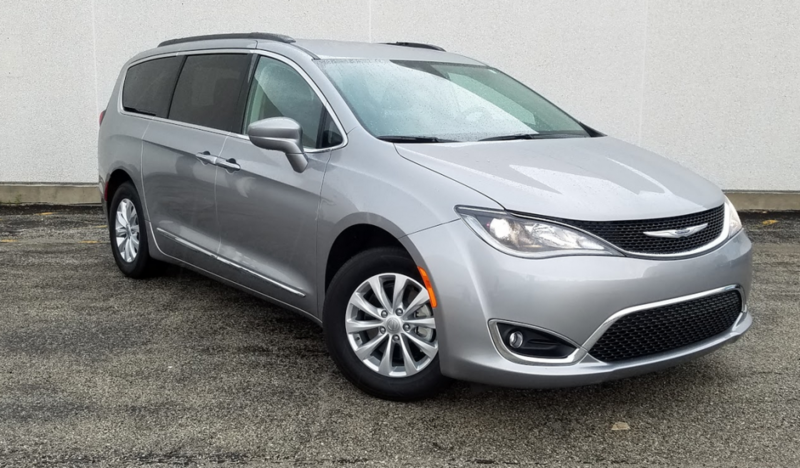 In addition to a lighter yet structurally stiffer platform draped in fresh styling, even the name is new: Pacifica, which replaces Town & Country, a Chrysler badge that dates to the 1940s but had been used on flagship minivans since 1990. (Chrysler did use the Pacifica name from 2004 to 2008, but on a crossover, not a minivan.) A 9-speed automatic transmission makes its minivan debut in the Pacifica, and there are some new available features, plus improvements to others that have been around for a while. Pacifica’s swoopy body styling details give it a look that’s about as dynamic as a minivan can get. The Pacifica was launched in five all-gas-engine models (a plug-in gas/electric hybrid is coming). Smack dab in the middle of that lineup is the Touring-L, which Consumer Guide® editors got the chance to try out. It starts at $34,495 before adding options or delivery. That buys the V6/automatic powerteam, 17-inch alloy wheels, automatic headlamps, “premium” fog lamps, LED taillights, heated power exterior mirrors, and a power liftgate and sliding doors. Inside are leather seats (heated in front), Chrysler’s Stow ‘n Go seats in the second and third rows, Uconnect infotainment system, satellite radio, voice control, Bluetooth connectivity, a USB hub, and tri-zone climate control. Electronic safety technologies include a rearview camera, blind-spot and rear cross-path obstacle detection, and rear parking assist. It took somewhat more stuff to get our test van to its $37,350 bottom line. The Premium Audio Group added a more powerful (and rich-sounding) stereo with 13 Alpine speakers, expanded 8.4-inch Uconnect screen, and cabin-quieting Active Noise Control system. Eight-passenger seating; a KeySense fob that enables setting limits on speed, audio volume, and other features; and a full-size inflatable spare tire were also tacked on. Though not as luxuriously finished as the top-line Limited model, the Touring-L cabin is very well appointed. We’re especially fond of the rotary gear selector that’s standard in all Pacificas; it’s very easy to use and it doesn’t block access to any other controls on the dash. Outfitted to this level, the Pacifica is a useful and comfortable people-hauler. You can get plenty more, but some of the high-profile features like the panoramic sunroof, hands-free liftgate and sliding doors, built-in vacuum, and power-folding third-row seats require going all in for the top-line Limited, which starts at a considerable $42,495. All Pacificas get the same 3.6-liter V6. It develops 287 horsepower, a slight gain from its 2016 iteration. It’s easily sufficient to move the vehicle with authority—and maybe even a tire chirp if you’re a little heavy on the gas pedal getting away from a stoplight. The Pacifica’s noise mitigation does a good job of keeping any ruckus raised during acceleration from disrupting the cabin solitude. Highway cruising is easy, too. With the 9-speed TorqueFlite fine-tuning power delivery, the Pacifica is rated by the EPA at 18 mpg in city driving, 28 mpg in highway operation, and 22 combined. Having put 240 miles on the test van, 70 percent of that in city-type driving, and with up to four people aboard, this driver saw 19.1 mpg. The Pacifica steers with ease, rides smoothly on all but the worst surfaces, and brakes promptly. The Stow ‘n Go functionality of the 2nd-row seats means they don’t have fore-and-aft adjustability, but they nevertheless offer ample legroom for most adults. Eight-passenger seating comes courtesy of a removable center seat in the 2nd row. There’s plenty of storage space in Pacifica, even with the 3rd-row seats in use. There’s good leg- and headroom in the front and middle rows, and front seats are quite comfortable. Second-row seats aren’t quite as cushy, which is a function of their needing to be able to fold under the floor in the Stow ‘n Go system. This they do quite easily. Plus, a convenient new “Stow ‘n Assist” button powers the driver’s seat forward far enough to permit the 2nd-row seat to be folded into the floor bin; another press of the button returns the driver’s seat to its original position when you’ve completed the stowing process. (Higher trim levels offer Stow ‘n Assist for the passenger side as well.) When the middle seats are up, a new “Easy Tilt” feature eases access to the third-row seats, which are legitimately adult friendly. A tug on a cord at the back of the rearmost seats draws them down into a deep cargo well at the back of the vehicle when hauling needs trump passenger capacity. With the middle and rear seats folded, cargo volume checks in at a class-topping 140.5 cubic feet. 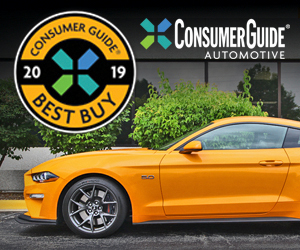 Big windows afford good driver vision to just about any angle—though if third-row headrests are left in the up position, they are big enough to cut corners out of the view through the rearview mirror. 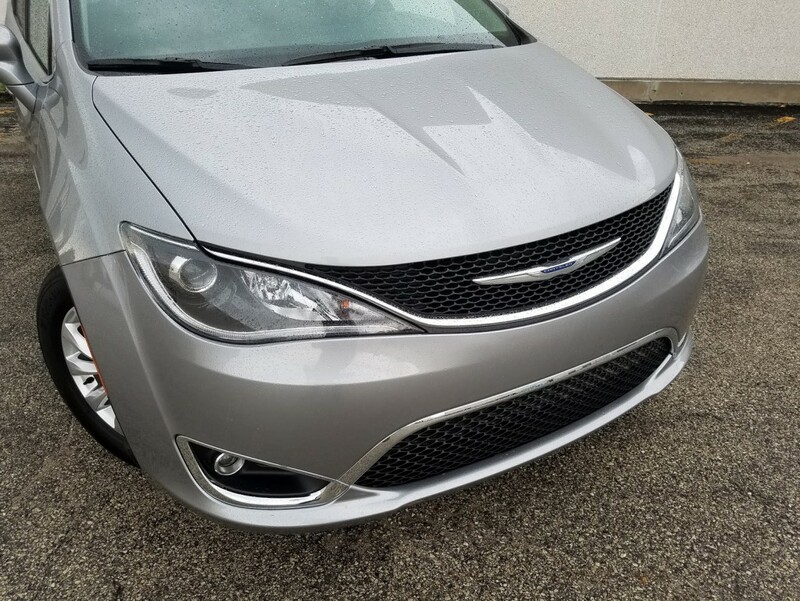 A smooth front end contributes to Pacifica’s wind-cheating aerodynamics, which Chrysler claims is best-in-class. Round speedometer and tachometer dials are ringed in a distinctive blue “mood lighting” that looks cool in more ways than one, but the gauge faces are a little difficult to read. The central screen handles all audio settings. Climate selections can be tapped out on the screen or manually input via a bank of controls below the screen. Drive-gear selection is made with a rotating dial on an angled platform protruding from the dash. It’s super-simple to use. 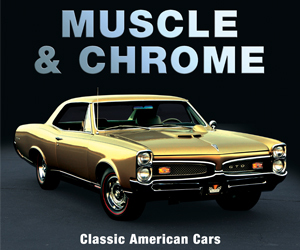 Personal-item storage includes a fairly big glove box, a pull-out tray in the center stack, a wide “purse porch” on the floor, a pair of open cup holders on the pedestal (not really a console) between the front seats, and two rows of pockets in the front doors. The longer lower ones incorporate bottle holders. Middle-row occupants are presented with a net pouch on the back of each front seat, a bottle holder in the door at floor level, and twin cup holders in the pull-down armrest that’s accessible when the center seat (in eight-passenger vehicles) isn’t occupied. Cup holders and small open bins are cut into the sidewalls for the benefit of third-row passengers. 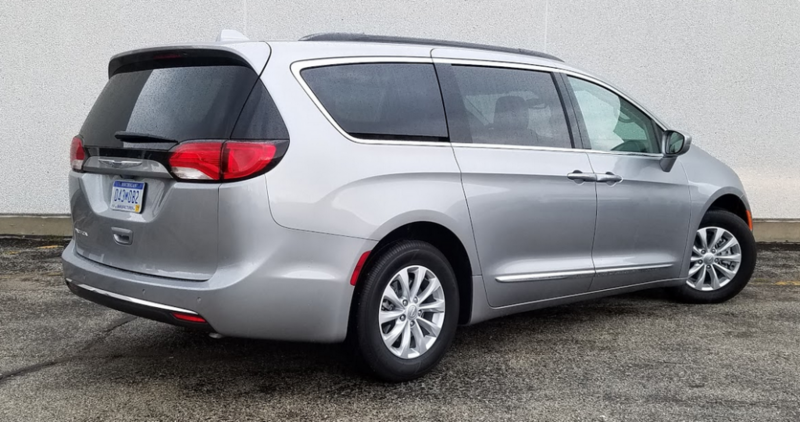 After a long stretch with its previous minivan—which dated back all the way to the 2008 model year—Chrysler has come out with an effective and wholly modern new interpretation in the Pacifica. It will work for lots of families. Touring-L models ride on standard 17-inch wheels. Our test van’s Billet Silver Metallic hue is a no-cost color option. Written by: The Daily Drive staff on September 13, 2016.on September 14, 2016.